Historically pavers were often made of Natural Stone or Clay & Brick, but the past decades has seen a growing trend in concrete pavers as it is more economical to produce and has tremendous pressure resistance ideal for driveways and commercial applications. Concrete pavers are made by pouring a mixture of aggregates, cement and sand with a colouring agent in a mould of some shape and allowing to set. This manufactured process produces a larger range of colours and shapes to match any outdoor space with ease. The use of segmental concrete pavers performs better than poured concrete as the joints between the pavers allow for expansion & contraction. The ability to repair uneven areas or cracked pavers by pulling up the affected areas makes concrete pavers a viable solution than replacing old poured concrete paths with a whole new surface. 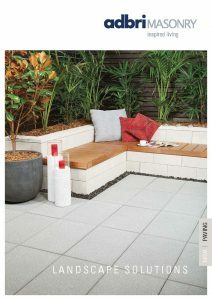 The use of concrete pavers also provides an eye catching yet cost effective solution to your outdoor space and is DIY friendly. WHY USE CONCRETE RETAINING WALL BLOCKS? 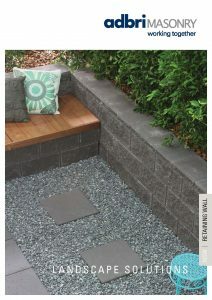 Concrete retaining wall blocks are easy to install and ideal for building soil retaining walls, reclaiming sloped land, reducing erosion and even creating feature garden walls, planter boxes and veggie patches. 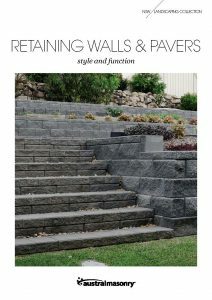 Concrete retaining wall blocks are durable, hard wearing and not prone to rotting. The use of interlocking system makes it ideal for your next DIY project. Whether your building a low wall or an engineered retaining wall to a small garden edge, Outdoor and General can supply all the construction materials you need to get the job done fast. We work closely with Adbri Masonry & Austral Masonry to deliver top quality products. We keep regular stock available for purchase in store or online which is replenished regularly. What we don’t keep in stock at the moment can be ordered and delivered to our yard as early as next business day and ready for pick up. Our dedicated team are on hand to assist you in any residential or commercial retaining wall enquiry via contact us. If you need product information click on any of the supplier logos below and follow the link to download brochures on products that interests you. Our range of masonry products delivered by Adbri Masonry & Austral Masonry extends to pavers for commercial and domestic outdoor spaces including pavers for driveways, patios, courtyards, pathways, swimming pools and more. Also Concrete retaining walls with & without reinforcement, retaining wall caps, concrete blocks, garden wall blocks and garden edging .Visit our Hot Specials section to view everyday sale items of new and seconds concrete pavers and retaining walls. 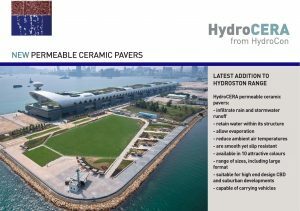 With increasing population and development, permeable pavers is a solution to the problem of high surface water runoff which is placing heavy pressure on existing drainage systems. Permeable pavements can help restore the natural water cycle by filtering water back to the earth without sediment buildup which makes it environmentally sustainable and satisfying local government permeable area property ratios. 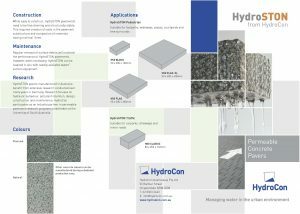 Click on the Hydrocon Brochures for more information. DO I NEED TO SEAL MY CONCRETE PAVERS? First Quality pavers with visible wear and tear from storage. 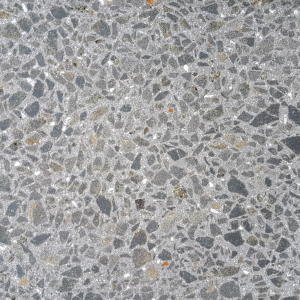 Honed concrete with exposed aggregate. 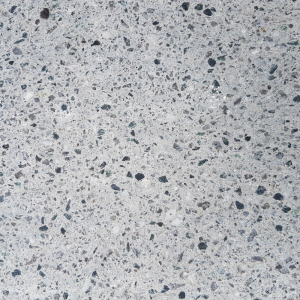 Slip Resistant and commercially graded, used in major shopping precincts excellent addition to your home.